A current trend in the lumber industry mirrors the general American ideology that encompasses almost everything except our perspectives regarding our physical bodies: The bigger, the better. People want wood that’s wider and longer than ever before. And it’s not just for those who actually want to use wide, long boards. 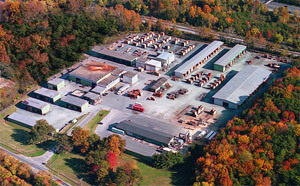 Often, customers request lumber that’s far wider or longer than the parts they’ll be using. While better color match may be a positive result, it isn’t worth the greater amounts of waste. In fact, some of the most aesthetically pleasing lumber you can find is fairly narrow and short. Lumber grading is basically a game of percentages tied to the amount of defect-free material and the board’s minimum cutting size. 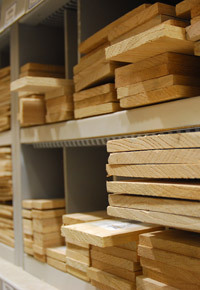 (For a more in-depth description of lumber grades, check out this article.) Basically, a perfectly defect-free board that’s shorter than the grading scale allows will be downgraded. As a result, Select or even Common grade lumber can actually be completely defect free! The larger the board, the lower will be the chances for a 100% defect-free board. While some industries and applications truly require long boards (take mouldings, for instance, or boat cover boards), unnecessarily ordering larger boards will lead, in essence, to lower quality orders. So for those who complain that lumber isn’t as top-notch as it once was, perhaps the issue is tied to the super-sized boards everyone orders these days. 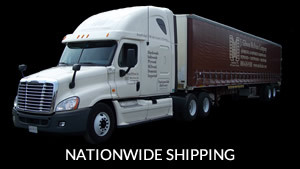 Here at J. Gibson McIlvain, we take individual interest in each of our customers and in the specifics of their orders. When we ask, we often discover that the project at hand really doesn’t require boards as long or wide as they originally state. Perhaps they plan to rip and crosscut many boards down to size. While we’re perfectly capable and happy to fill orders that truly require long, wide lumber, we also try to look out for your bottom line as well as the long-range issue of short, narrow lumber that’s unnecessarily piling up. The growing heaps of byproduct of so many orders for long and wide boards make the opportunity to purchase high-quality shorter boards even more attractive if it weren’t for the current trend. By making informed choices about your lumber order, you can benefit from these trends instead of feeling as if you’re at their mercy. A decent lumber supplier will ask you all kinds of questions before giving you an estimated cost or filling your order — which is precisely why we don’t have a simple price guide here at J. Gibson McIlvain. Each order is truly one of a kind. As you grow in your understanding of lumber grading and pricing, along with industry trends, you’ll be better able to make informed decisions that allow you to attain the highest quality lumber suitable for your job without unnecessarily impacting that all-important bottom line.